Bespoke period/heritage wardrobes…spanning all eras. Do you desire the luxury of a finely crafted walk in wardrobe for your residence or home office? Enjoy the elegance of fitted wardrobes with the assistance of Wardrobes Murrumbeena! We design and build exquisite custom closets, wardrobes, kitchen cabinets, bookshelves, entertainment cents, and other fine wood cabinetry for residential properties in the Greater Melbourne Area. Our services add a luxurious quality to beautiful homes. We are a short trip to the following areas but we service all of Melbourne and are happy to come to you wherever you are for a free measure and quote! Today built in wardrobes represent an important component of custom homes. These tailored products offer homeowners the opportunity to store clothes, shoes, and other belongings conveniently. Many property owners prefer walk in wardrobes. Enjoy the opportunity to choose attire easily and conveniently. Ask us to add lighting and a full-length mirror to one of these built in “robes” to increase the ease of checking over attire. Our stylish designer wardrobes eliminate the need to store apparel at inconvenient heights. Place favourite belongings in the most readily accessible spots. Most modern custom built wardrobes offer remarkable versatility. No longer do homeowners use these locations exclusively for clothing. Currently, some homeowners rely on our customized closets as convenient extra storage sites for property which they wish to keep indoors but not immediately visible. Place sports gear, books, toys, memorabilia, collections, kitchenware, linens, or electric technology conveniently in these locations. Your home won’t appear cluttered, yet you’ll enjoy immediate access to your belongings. Call Murrumbeena Wardrobes on 03 8592 4775 for a free measure and quote! When you request a lovely custom wardrobe from us, you’ll enjoy the capability to have this amenity installed in the location you prefer. Eliminate the need to decorate your living space around a pre-existing floor plan! We’ll build a stylish walk in closet in a bedroom, a bathroom, a hallway, a home office, a den, an exercise room, a kitchen, or in any other part of the home you prefer. We’ll work closely with you to craft a completely useful custom wardrobe design. If you require shelves placed above or below a certain height, we’ll create a walk in closet fitting your personal specifications. Our woodworkers possess the skills required to adjust the closet design to complement the surrounding architectural style of your residence. You choose the layout of your home’s new built in wardrobes to ensure functionality and utility. We’ll do our best to supply the technical capabilities required to fit this item into the existing floor plan. We routinely craft lovely period wardrobes reflecting the style and unique appeal of vintage and heritage homes. As a wardrobe maker, we appreciate the importance of our craft in creating a better quality of daily life for our customers. Whether you reside in a flat, a condominium, a townhome, or a house, enjoying extra storage capabilities holds value. Our work permanently enhances properties in Melbourne. Owners prize our fine custom built wardrobes. Your investment in walk in wardrobes will enable your household to enjoy this very functional amenity right now. 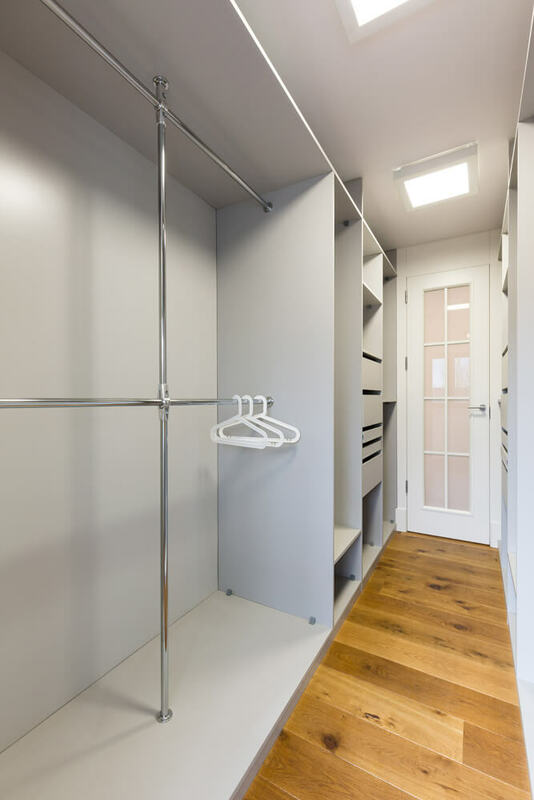 Later, if you ever decide to place your residence on the real estate market, the closets we have installed will likely enhance the marketability of your property. The presence of fitted wardrobes eases many daily cleaning and storage tasks. By supplying a ready site for stacking loose items or storing specific belongings, this type of home improvement offers enduring utility. Instead of spending money on temporary storage cabinets, chests or other furniture, why not enjoy the permanent benefits of strong, durable built in robes? Our wardrobe design process helps ensure our products will meet your family’s unique needs for additional storage space. We’ll create a closet design to reflect your preferred shelving height and spacing preferences. Ask us to include storage hooks, bins, or rails to help you organize and secure stowed items more conveniently. We craft attractive designer wardrobes using the building materials designated by our customers. For example, you enjoy the option of selecting a custom wardrobe with wood, plastic, glass, or metal shelves. We’ll do everything possible to help make this project reflect your unique design objectives for your home. Our customers enjoy the ability to control the wardrobe design process in a meaningful way. We’ll use the woods, stains, and finishing techniques you prefer to help ensure your built in robes fit your creative vision for this product. We welcome the opportunity to meet with you in your home and explore some of the available options for building and decorating customized closets. To appreciate the versatility of designer wardrobes, just take a moment to visualize these products in your home. Do you require a single walk in closet in the master bedroom, or would separate built-in wardrobes fit your household’s need better? How would built in custom closets enhance your family’s game room? Would this improvement make any of the bathrooms in your residence more comfortable and easier to maintain in great condition? During former eras, Australian homebuilders sometimes viewed walk in wardrobes as unnecessary. Many older residences lack this amenity, in fact. 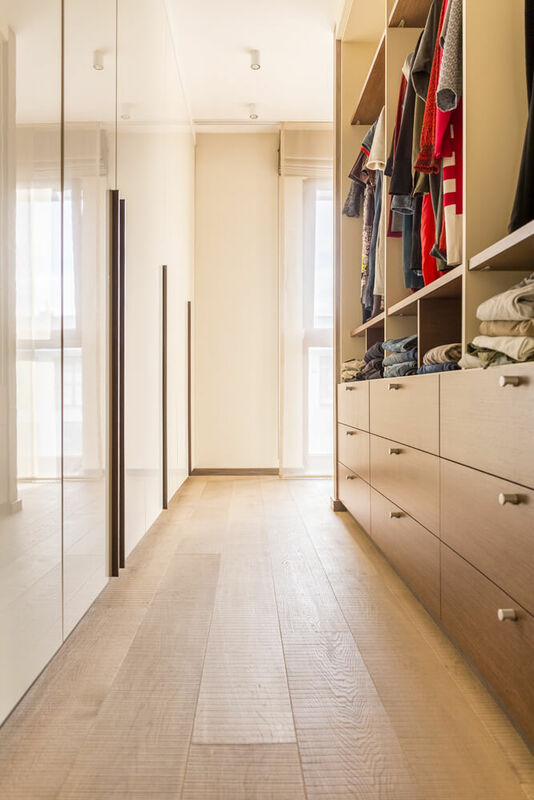 As the importance of luxurious residential real estate in the Melbourne Area has increased, more households prefer to customize their closets. Installing a new, finely crafted custom wardrobe in a dated property often provides a way to update and modernize a home without the expense of undertaking a complete building renovation. Take advantage of this excellent opportunity to improve and beautify your residence in a personally satisfying way. Custom wardrobe design today offers remarkable opportunities for making residential properties stylish and more comfortable. Our innovative company helps households in Melbourne craft genuinely opulent living spaces. Can you envision your home with attractive fitted wardrobes? We possess the construction and design skills required to help you achieve this dream. Contact us soon to explore ways our builders can assist you by creating trendy built in period wardrobes, custom cabinetry, shelving, and closets. You’ll love the results!